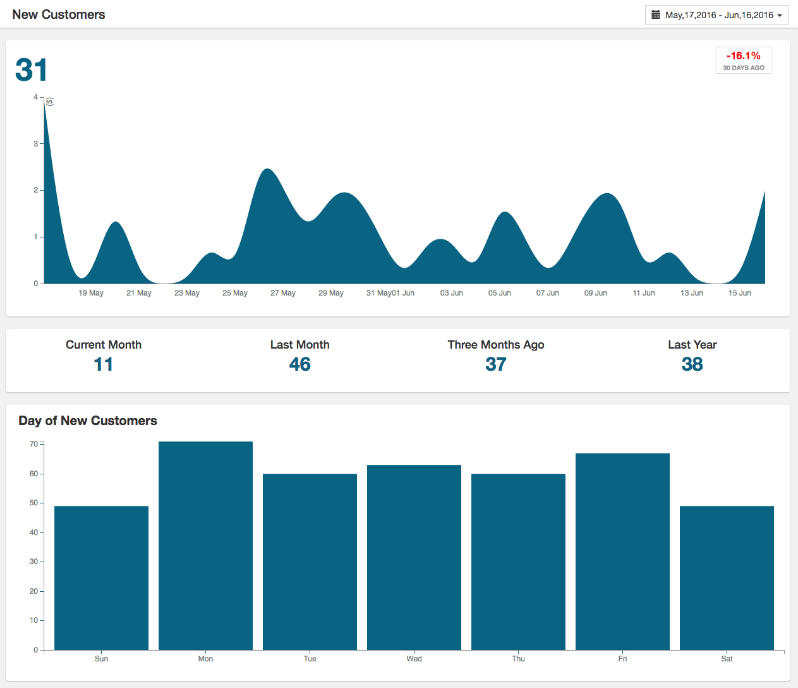 See your sales data in all it’s glory – the ultimate CRM sales analytics dashboard! Reports – See MRR, Gross revenue, Net, Discounts, Avg. per customer etc. Automatic – Sync your data into the CRM and get metrics easily! Pro’s know. Online business is all about data. We’ve learned this the hard way – through years of trying to make successful online businesses. From ecommerce to e courses. We’ve got decades of experience here, and the crucial thing we’ve learned is that data matters. We’ve built this extension to make it increadibly easy to see high-level, business-critical analytics at a glance. 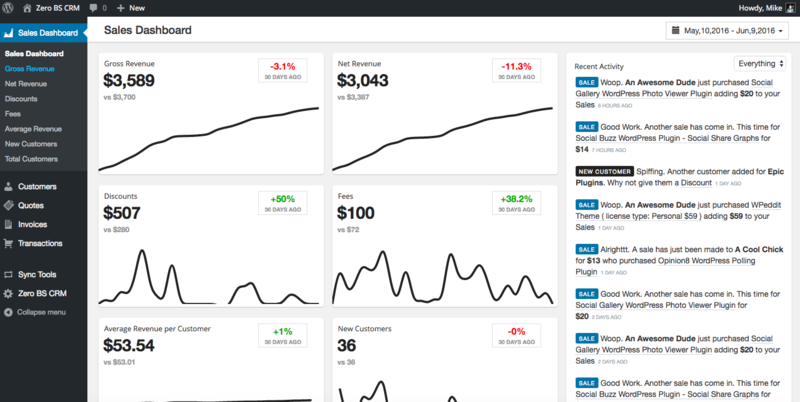 The Sales Dashboard extension focuses on 7 key metrics, giving you amazing insight into your customers, and the ability to see quick wins to grow your business. See each of these in detail below, or grab the extension now and see your very own graphs within five minutes! As customers come and go it’s easy to build up many ways to see “progress” in a business sense. Sales Dashboard works out-of-the-box with your CRM, and shows you at-a-glance how your business is killing it (or not :o). This makes it easy to make leveraged business decisions, (or to keep a team on point). Woo Sync keeps your ZBS customer database up to date automatically. 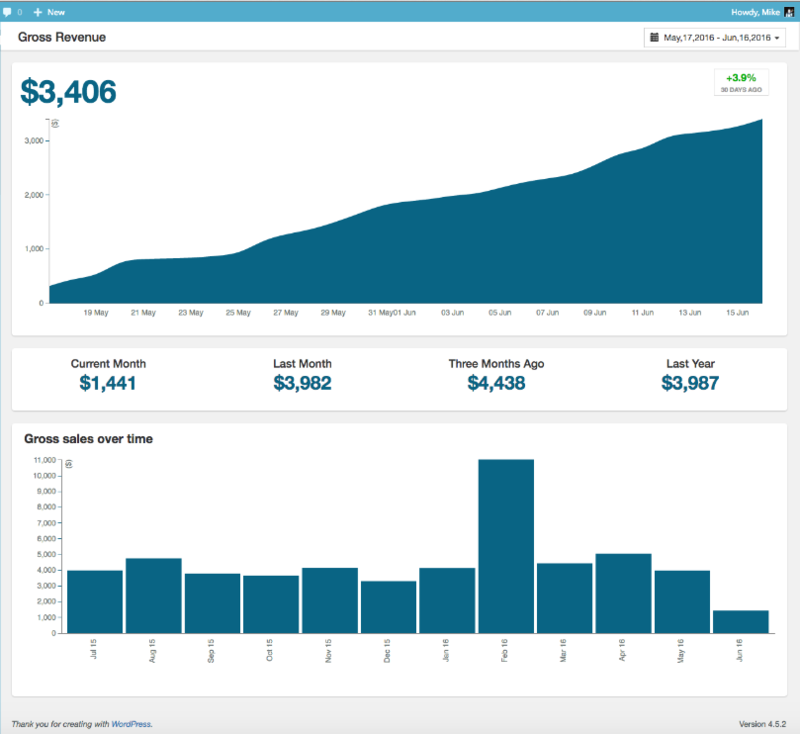 Sales Dashboard “just works” and gives you stunning charts based on your sales and customers. The main metric of your business. Find out how your revenue is growing. Are your marketing efforts working as you intended. The Net revenue chart is very similar to Gross revenue, but knocks off discounts and fees. See how your Gross Revenue is changing over time, comparing the trend to the prior period you can easily see if your business is growing or contracting. The detailed view shows the past 30 days as well as how your current month compares to the last month and charts the revenue over the past 12 months. Awesome. The Sales Dashboard lets you analyse your data across any date range you choose. Super simple and easy to use. Just like the Gross and Net Revenue charts you can see your discounts and fees for each transaction. A great way to see whether any promotions have spiked your sales. Fees are the fees from transactions but you can also add any other ‘fees’ related to your business. This one is one of the metrics we focus on. What value to your business is a new customer. This can be used to determine how much to spend to acquire a new customer. Giving you awesome control over your business growth. 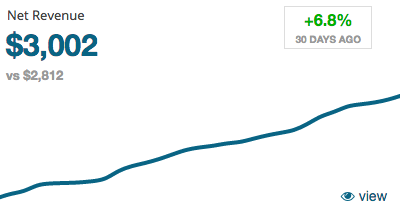 These two charts are great ways of seeing your customer growth rate over time. It shows you how many customers you’re adding each month and also which day of the week are your best days for gaining new customers. Amazing. How many customers does your business have? Do you know? 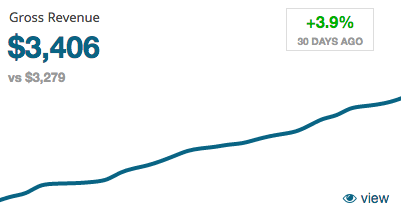 Can you quickly analyse whether your customer growth rate is increasing? 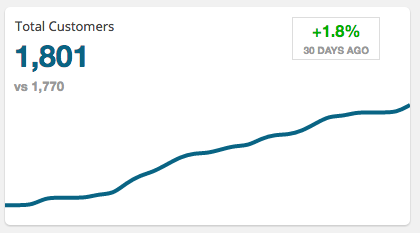 Are marketing boosts helping kick the trend upwards? With all of this amazing information you can really use the zero BS CRM system to drive your business forwards. The Sales Dashboard gives you the latest activity from your transaction data, have you generated new customers along with your new sales? How are things progressing? A nice little touch to keep on top of things while reviewing your Sales Data. Take a view of everything, anytime you like. All the way back to the start of time. Want to start writing transparency reports for your business? You can easily do this and backdate them by going through your data. 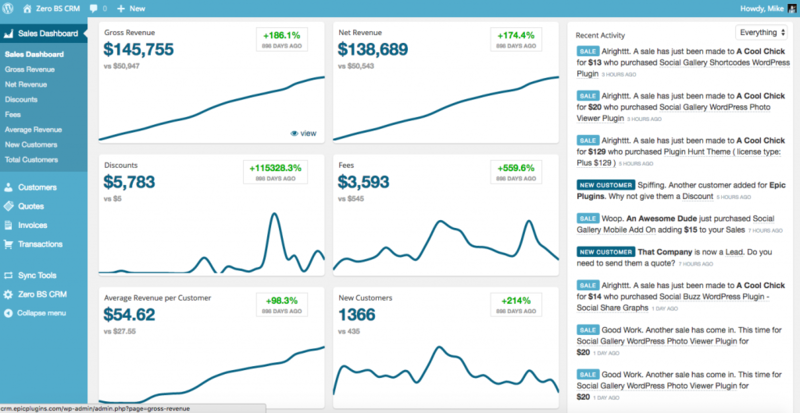 Use the power of WordPress to skin your Sales Dashboard to your own liking. Change to any of the skins and the Sales Dashboard follows suit. Some of our favourites are the Midnight, Blue and Sunrise options. Switching to the Sunrise mode it gives you a great, fully customisable CRM system with amazingly easy to analyse data, including the WordPress ‘Collapseable menu’ you can make the most of your Dashboard data. Business-critical Metrics – act on information! 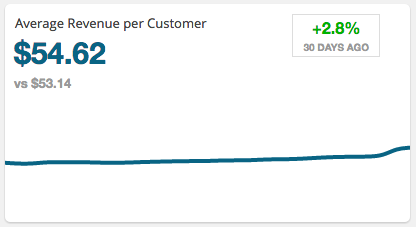 The Sales Dashboard extension lets me easily see how my business is growing over time. Love it. 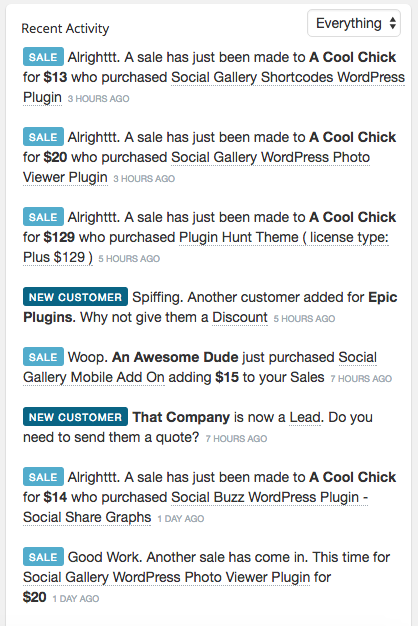 The Sales Dashboard extension works the best when used in combination with the PayPal Sync or Woo Sync extensions. This lets you see the latest snapshot of your data at a glance. Good with: PayPal Sync Woo Sync (for WooCommerce). Your cheapest option is the Entrepreneur’s Bundle. 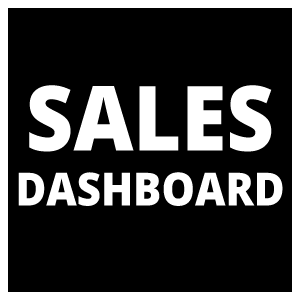 Sales Dashboard is included in the Entrepreneur's Bundle - join the other happy entrepreneur's, save $$$ per year and get instant access to every extension!